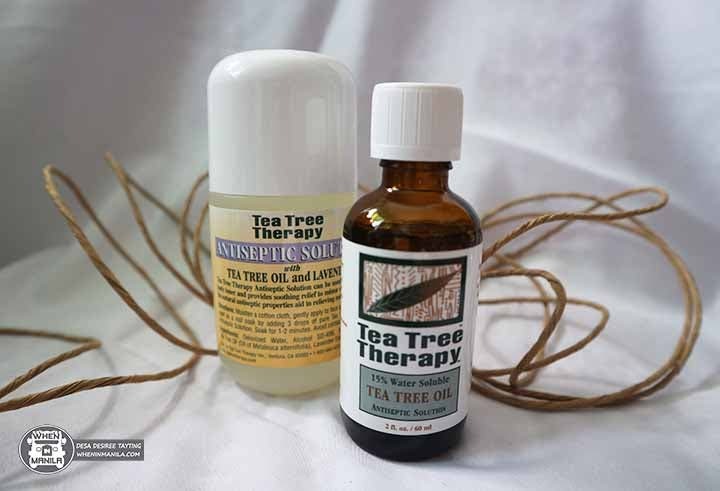 To health-conscious people, oil essentials such as tea tree oil is a staple nowadays. Like me, you’ve probably only heard a few benefits of it, and that is to help clear acne scars and relieve itches. 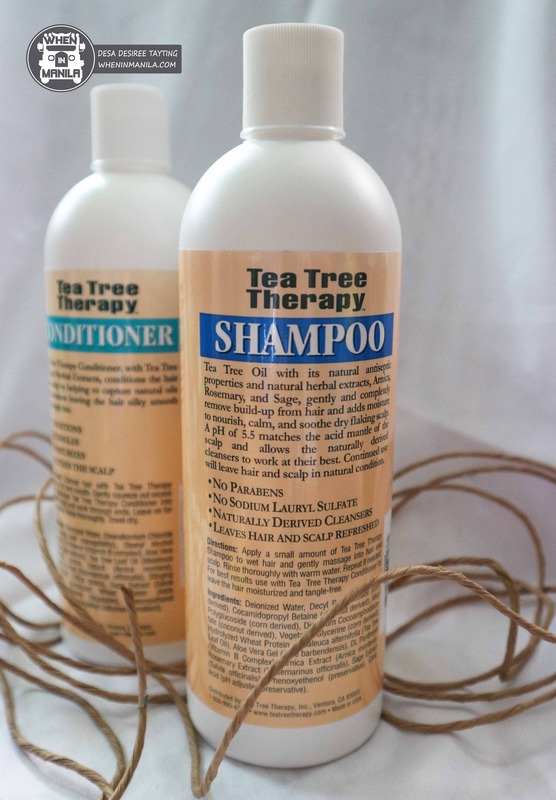 However, when I came across Tea Tree Therapy, a brand that offers products made of 100% pure Australian tea tree oil, I was amused upon learning that there is more to it than that! Inside this amber bottle is an antiseptic solution for sensitive skin that can be applied to cuts, abrasions, bites, and stings. You can dilute this with water (use ratio of 1:7) when a milder solution is required. And, it’s not only for the skin, but also for your bathroom! That’s right. This can also be used as a household disinfectant for comfort rooms and sickrooms. Their shampoo with tea tree oil and extracts of arnica, rosemary, stinging nettle and sage is one of my favorite products. It gently and completely removes build-up on hair and adds moisture to dry flaking scalps. It cleanses all hair types and most importantly, it leaves no chemical residue! 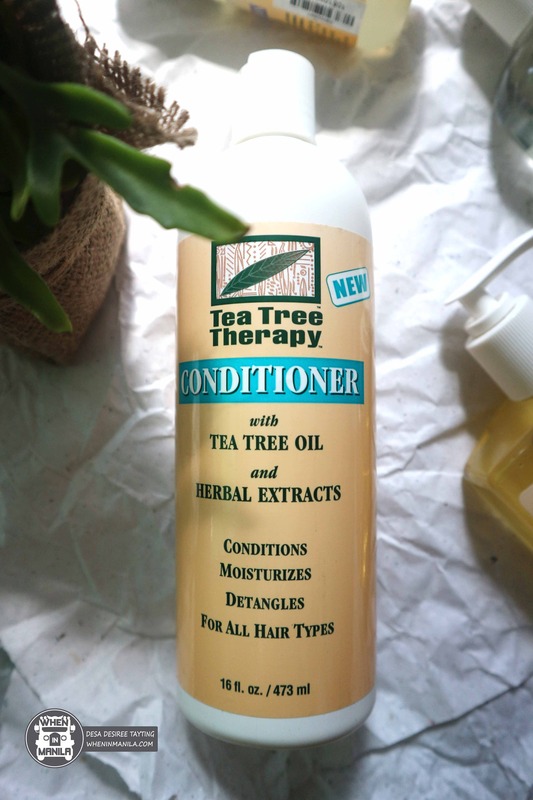 Tea Tree Therapy’s conditioner with tea tree oil and herbal extracts conditions the hair and scalp by helping capture natural oils and moisture, leaving hair silky smooth and tangle-free. It’s time to treat your crowning glory! 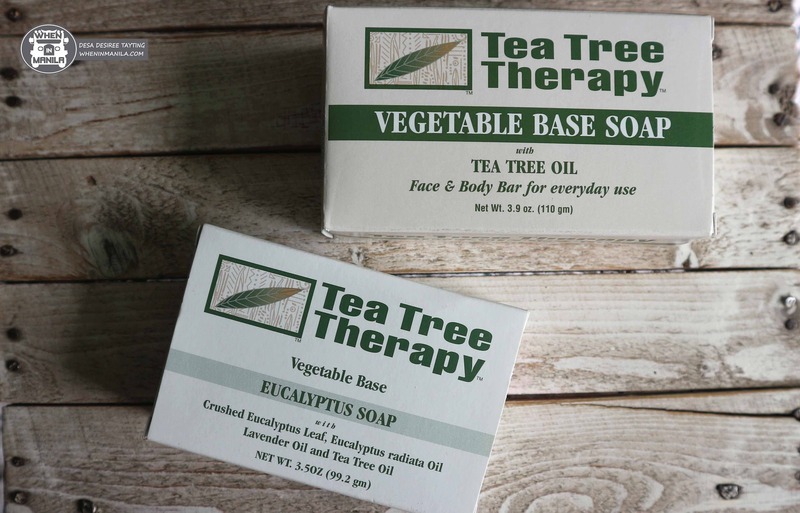 For deep cleansing freshness and softness during your next bath, Tea Tree Therapy’s Vegetable Base Eucalyptus Soap is an exfoliating soap that combines the antiseptic properties of Tea Tree Oil, Lavender Oil, and Eucalyptus Oil. These ingredients help exfoliate, soothe, and moisturize the skin. The Vegetable Base Soap with Tea Tree Oil basically does the same thing, just without the eucalyptus. It also provides antiseptic properties to naturally reduce bacteria that may aggravate skin issues. Its gentle cleansing action can be used all over the body to leave the skin clean and refreshed; and it’s perfect for everyday use! This is not your ordinary liquid soap. 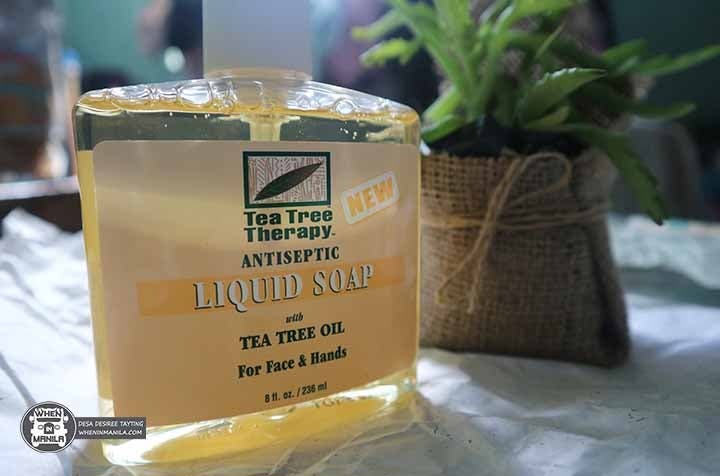 Aside from tea tree oil, it also has Aloe Vera gel and extracts of chamomile plus Calendula and elder flower, all of which are recommended for skin infections such as impetigo and boils. It’s also ideal to use if you are on a complexion control program. Stock up! 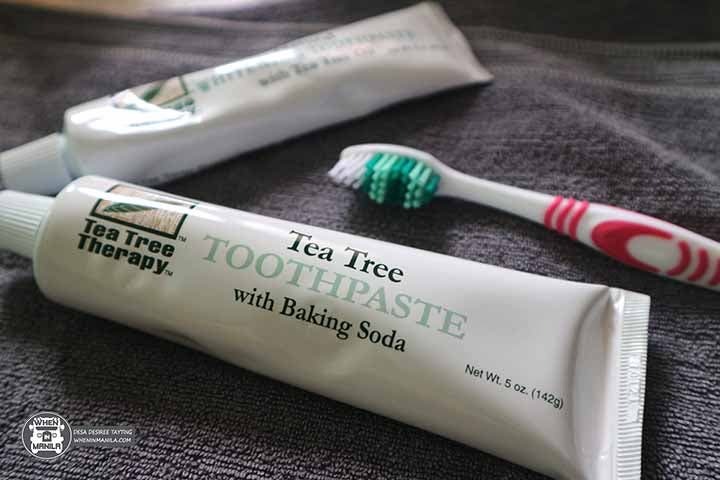 Thanks to the tea tree oil, this toothpaste kills the growth of bacteria that can cause plaque and decay while adding dual cleaning system of Calcium Carbonate and Sodium Bicarbonate for everyday use. It also helps in the treatment of gum issues and assists in controlling mouth ulcers. If you’ve got stained teeth, this toothpaste can help. 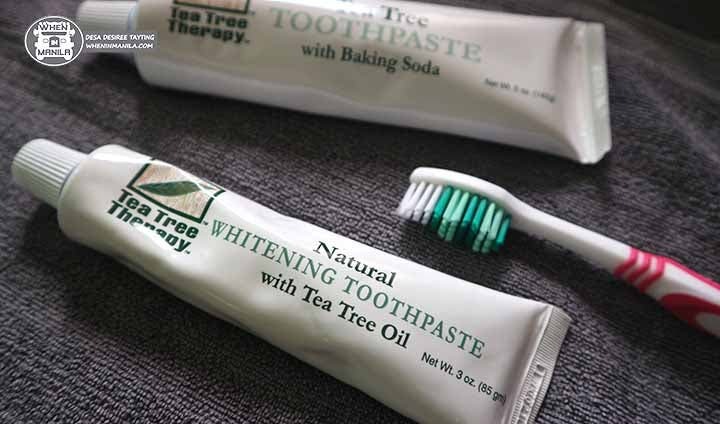 Tea Tree Therapy’s Whitening Toothpaste has tea tree oil that inhibits the growth of bacteria, and Dicalcium Phospate and Silica that are gentle low abrasive polishers. 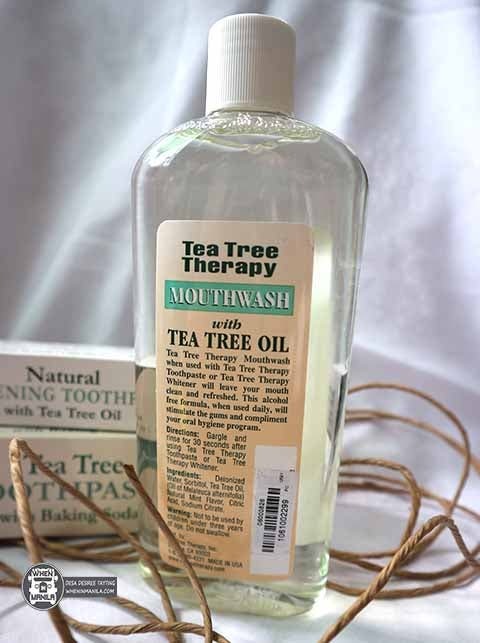 Can’t get enough of tea tree oil for mouth and teeth cleaning? Try their mouthwash, which has an alcohol-free formula with a refreshing mint flavor. 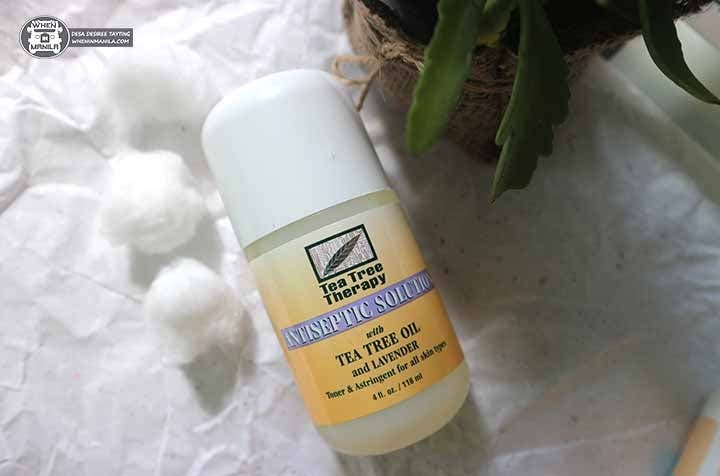 The antiseptic properties of tea tree oil help remove tartar and attack odor-causing bacteria. It’s also safe for everyday use! How interesting are these toothpicks? 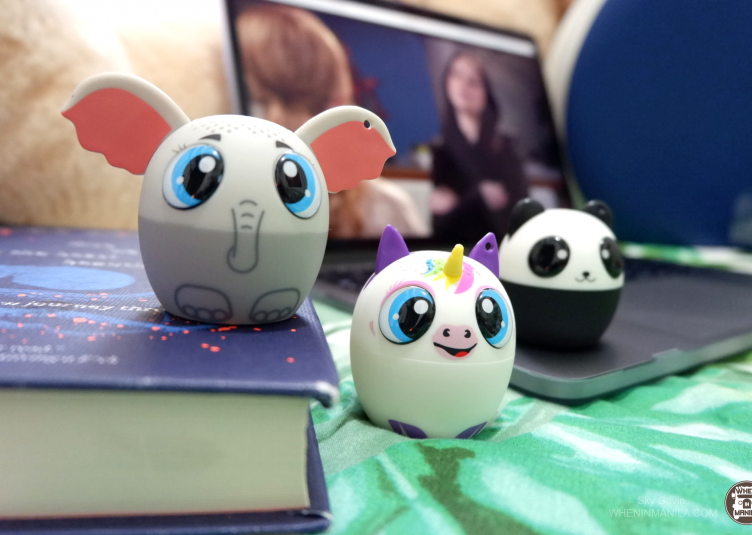 They are made of birch wood, and infused with tea tree oil and other natural extracts. It’s amazing how its long-lasting flavor can be an aid to those giving up smoking and snacking! It comes in refreshing mint and zesty cinnamon flavors. The solution of this toner has lavender oil and 2% concentration of tea tree oil, both of which have antiseptic and germicidal properties that are good for your skin’s hygiene. This can be used as a skin toner and astringent to gently remove grime and odor-causing bacteria and it can also relieve minor skin irritations such as razor burn and sunburn. These are just some of their beneficial products, so make sure you check out the full list on their site. If you’re planning to purchase any of them, you can find them online on Lazada, Shopee, and in selected stores in the Metro. 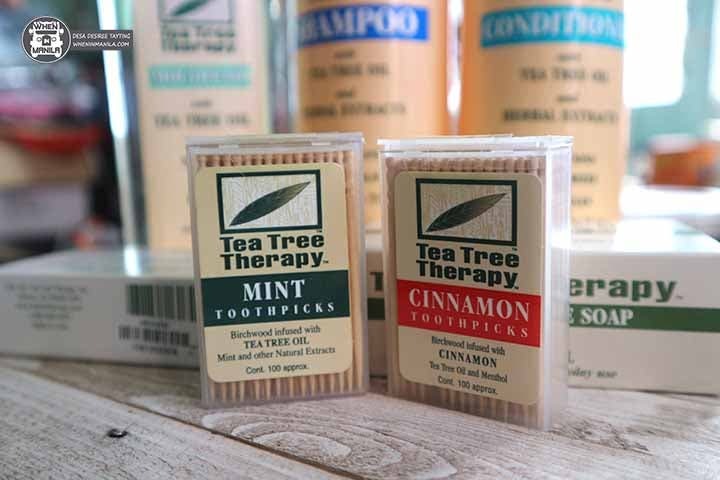 Check them out now and start living healthy with tea tree oil!